"I like the Genelec monitors just because I'm used to them. I remember I sat in Switch’s studio in LA and he had the Adams – they sounded good but I thought they were more plastic!" This Instagram photo of Oliver Heldens' studio setup shows his monitor speakers in the background. They appear to be Genelec 1031A Two-Way Active Speaker Studio Monitors. 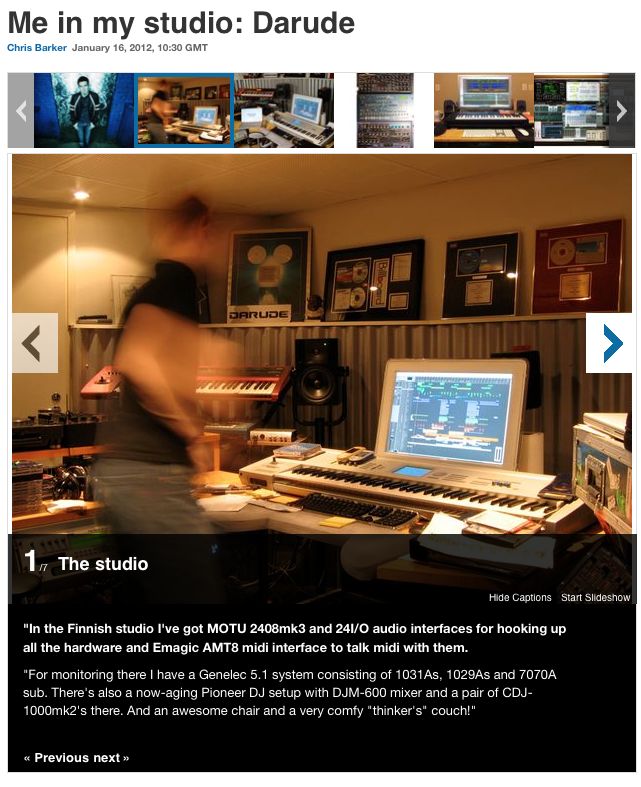 Kanye West's rider states that "The hotel must provide a Genelecs 1031a speaker in the room"
This photo of DJ Shadow in his studio, found on his official website, shows the main near-field studio monitors he uses are a pair of Genelec 1031A. At 3:05 in this video, Joe Duplantier's studio is shown to consist of Control 24 mixer, Genelec 1031A and Adam Audio A7 studio monitors. 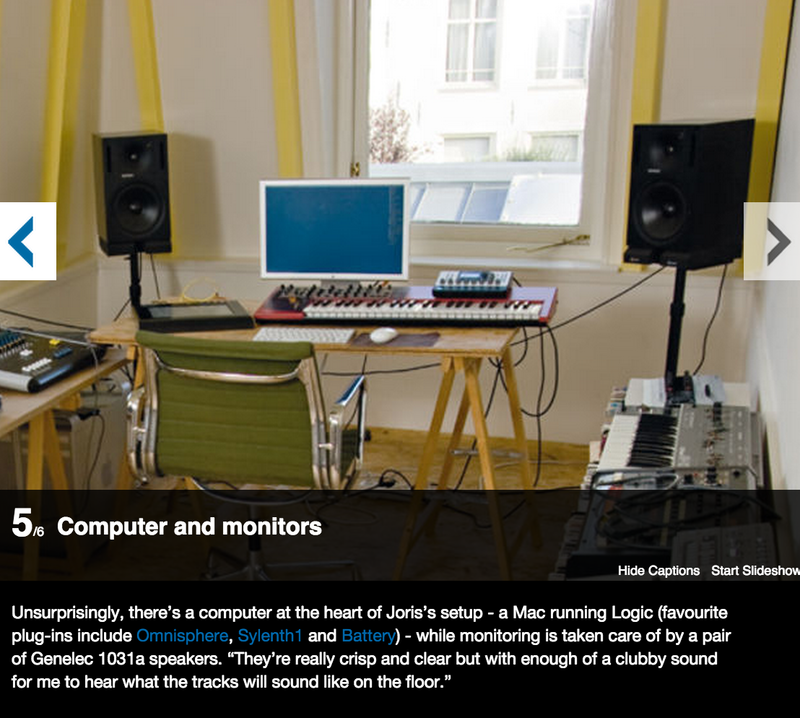 In an interview about the gear he uses in the studio, Joris Voorn talks about his Genelec 1031A studio monitors, which sit on stands on either side of his desk: "They’re really crisp and clear but with enough of a clubby sound for me to hear what the tracks will sound like on the floor." Darude talks about using a pair of Genelec 1031A Two-Way Active Speaker Studio Monitors in this [interview](http://www.musicradar.com/us/news/tech/me-in-my-studio-darude-523551/2). Yellow Claw: "STUDIOTIME WITH AMSTERDAM GHETTOHALL LEGEND KALIBWOY" Augest 2015. Seen in this Instagram post of Jason's studio. I ussualy used for Mixing and it is very clear, and Clarity so much Warm! These are my most favorite speakers I have ever bought!!! These speakers have the best quality of sound when it comes to producing music! !